Through a two-year PACE (Partners for the Advancement of Collaborative Engineering Education) design competition organized by corporate sponsors like GM, four Northwestern Engineering undergraduates enrolled in a Segal Design Institute capstone course spearhead the design of the expansion mechanism for a Reconfigurable Shared-Use Mobility System (RSMS). The average American car sits unused for about 95 percent of the day. How might this inefficiency in traditional transporation systems be addressed, particularly in dense urban areas of Asia and the United States? Together with its partner universities from the United States, Mexico, South Korea, China, and Canada, the Northwestern quartet led the design of TA-DA, an expandable electric car that promotes car sharing by reconfiguring the vehicle into different multipurpose rooms at the push of a button. The on-demand reconfigurable aspects of the TA-DA vehicle allow it to be used for a variety of on-the-road applications from commuting passengers to transporting cargo, while the same vehicle can later function as a capsule hotel, meeting space, or even café when parked. Through conveniently placed networks of electric vehicles, the TA-DA team aims to promote car sharing by making it more convenient and cheaper as well as environmentally beneficial. The inherent benefits of the electric car design reduce environmental impact while the increased use of car sharing heightens automobile utilization. Overcoming langauge and geographic barriers, the Northwestern students within the Manufacturing & Design Engineering (MaDE) Program and Segal Design Program communicated with their global partners multiple times each week to advance the vehicle’s design. Over spring break 2016, the four Northwestern students traveled to South Korea with support from the Norman Design Fund and Global McCormick to work directly with their partner design and engineering teams. 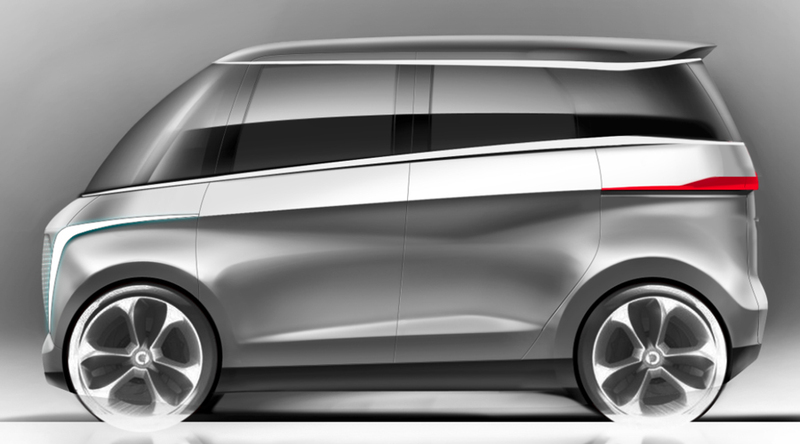 While there, the group attended an international electric vehicle expo to identify potential aspects they might integrate into the vehicle design as well as flaws to avoid. The expanding design of the TA-DA car necessitates a split frame design, which is both novel and inherently weaker than a traditional car frame. To ensure safety, the TA-DA team has worked with Northwestern mechanical engineering faculty members Michael Beltran and J. Alex Birdwell, as well as safety specialists from GM. TA-DA received the RSMS Overall Award, as well as first place recognition in the industrial design, product engineering, and manufacturing categories at the 2016 PACE Annual Forum competition in July. The team is currently working to integrate its finalized expansion system design into the frame developed by collaborators at Hongik University in South Korea.